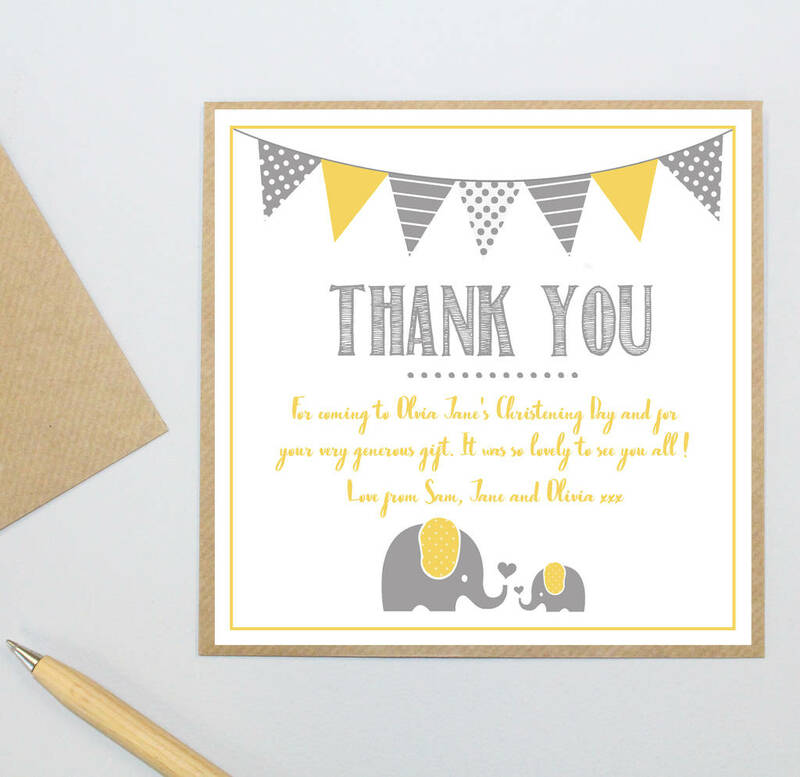 Thank everyone who attended your child's Christening, Baptism or Naming Day Ceremony with our gorgeous square Thank you postcards. Price is for one thank you postcard note. Discounts will be applied to bundles of 6, 12, 18, 24, 30 and more. Please see quantity drop down when ordering. Only one postage charge will be applied at checkout when you order multiple items from Precious Little Plum, so why not see what else we have to offer being checking out. Printed on 300 gsm textured fine art quality card complete with envelopes for each invitation. Samples will be sent in board backed envelopes and all orders of over 6 invitations are sent it a postal box to ensure they travel safely to you. Printed by Precious Little Plum in a traditional print workshop in Sussex. 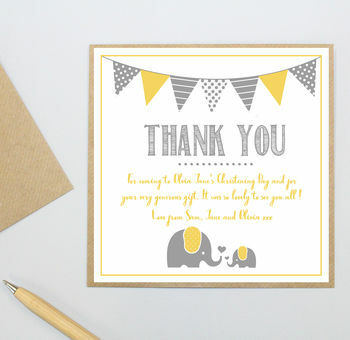 Our square thank you cards measure approx. 15x15cm (6x6 inches) and come complete with envelopes.